In a few days, Tibetans from around the world will gather in the hill town of Dharamsala. If you are one of the self-paid delegates on your way to Dharamsala, what about my suggestion: Attend the opening ceremony of the special meeting and then use at least two of the four days in Dharamsala to protest in Gangchen Kyishong and demand from the Central Tibetan Administration (CTA) a fresh restart and real political leadership. I agree that all Tibetans are required to be positive to do something against the crisis in Tibet and I see a lot of good people working on grassroots or on government level. Looking back at the past special meetings, however, I seriously doubt that something productive will be achieved this time. There is the risk that no agreement can be reached on the political nature of the crisis and the reason for the self-immolations. Meanwhile we have the body count in Tibet rising. In March 2011 we elected a new parliament and an executive. A lot of euphoria has been created in the run-up, especially about the new Kalon Tripa (now “Sikyong-Pa”). There was sufficient time for him to draft some good plans and build a strong political team after the announcement of the results and before taking office. Looking back, it seems that this opportunity has been missed. Since taking office there has been a lot of well-intended activity from him but not one major political initiative with the quality and boldness that is characteristic of real political leadership. I do not agree with those who condemn Kalon Tripa Lobsang Sangay for some of his unfortunate remarks in the international media. This can happen and doesn’t count in the end. What counts are the big issues that can be solely addressed by the administration itself. However, it is frightening to see the unwillingness to act on these difficult issues. 1. The talk dialogue efforts with China were brought to a surprising termination by the two former envoys. The way the resignations took place was quite a blow in the face of the new Kalon Tripa who still seems to have no clue how to replace them and, more importantly, no sober plan how to approach the Chinese leadership as was his stated wish during the election. 2. We have seen one new face at the top level of our administration who could stand for the change promised. But, mysteriously, nothing can be heard from this person (Dicki Chhoyang, head of our “foreign office”) anymore. 3. If we look at the ranks below and our offices abroad, is it reasonable to expect different results and ideas from people who have been working in these positions for decades? We can concede that progress on the political front, in general, is extremely difficult, but why not start with the home front. What about some economic plan for the exile community? Or some professional legislation to clean up the mess with the voluntary contributions, etc., etc. Well, the resolution of budget matters isn’t that glittery but it would have been something concrete and would have sustaining impact on our system in Exile. There has been some hope when the Tibetan Parliament-in-Exile and the Kashag announced on April 16, 2012: «The main agenda of the meeting is to discuss ways to deal with the present crisis in Tibet.» When I first read this, though I was a bit sceptical about the non-committal words, I was still hopeful that well in advance of the meeting, the public and the participants would be provided with a solid plan or at least a strategy that helps all of us to make our movement stronger and effectively fight the present crisis. The timing could not have been better. But again, nothing. Everyone is invited to come up with individual ideas with the hope that somehow it will add up to a master plan. And if not we take refuge to “hurta-barda” and “lhaksam namdak”. There seems to be a strange unwillingness for leadership. I did not vote for Lobsang Sangay but I respect that he was elected with a solid majority base that puts him in a strong position versus the Parliament. There was sympathy for our Harvard man around the whole world and His Holiness also tries hard to promote him which should be sufficient for a comfortable mandate to lead and execute. The ballot boxes are closed and so is the time of debating. We had a choice and voted for Lobsang Sangay, fervently supporting the Middle Way, and for a conservative Parliament believing in the old ways. So it’s now their turn to prove that their ideas work. What we want is our leaders to behave like accountable democratic leaders who haven’t forgotten their campaign promises, assume their responsibility and know when to call on us, the Tibetan people. We not only have a crisis in Tibet but in our leadership, too. Therefore, it is the delegates’ responsibility to remind our elected leaders to take their job seriously and begin working. 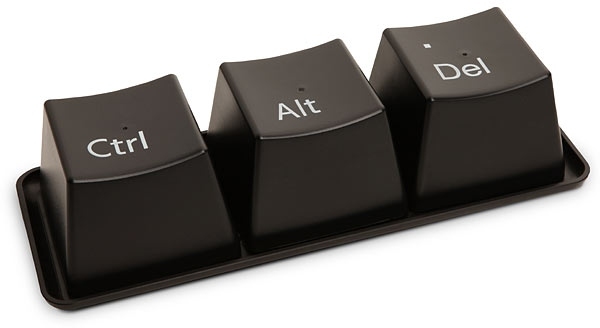 Or to put it simply: Ctrl+ALT+DEL and restart.